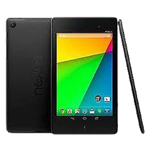 The Nexus 7 2013 is already one of the best tablet deals around, but you can never have too much money. To that end, you might want to know that Newegg currently has both the 16GB and 32GB WiFi models on sale, at least for refurbished options. The 16GB version is $193.99, a bit less than $50 off the retail price, and the 32GB version is $244.99, $25 off of the new model. To add icing to the cake, you can get a $50 Visa prepaid card by mail with either purchase. This is what most retailers call a mail-in rebate, but Newegg's standard price is the one you pay for the tablet, which we generally approve. For the record, the final price after the $50 prepaid card is $143.99 for the 16GB model ($96 dollars of the cost of a new tablet) and $194.99 for the 32GB model ($75 off). To claim the $50 card, you'll have to print out a rebate form, cut out the universal product code from the tablet packaging, and send in a copy of the receipt via the mail. You know, with envelopes and stamps and everything. It'll be like a trip through time. Newegg's sale is valid between now and March 12th, and you have to send in the rebate form before March 15th. Both tablets qualify for free standard shipping, or free 2-day shipping if you're a subscriber to Newegg's Prime Premier service. 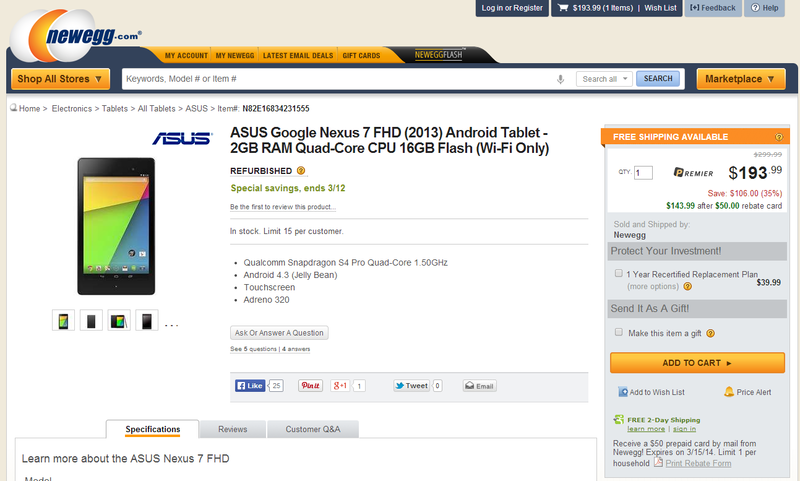 Source: Newegg Nexus 7 Refurbished 16GB, Newegg Nexus 7 Refurbished 32GB - Thanks, TheManii!